Please note, this gift guide is a paid collaboration with Braun. What would we do without Daddy? He works long hours as a teacher and then comes home and cares for us all. He cooks and cleans, he shops and fixes. He reads bedtime stories and plays games. He lets Littlest thrust a ‘Birthday Cake’ made of bubbles into his face, every night at bath time. He is the most patient and caring father I could ever have dreamed of for my children. With Father’s Day fast approaching, it is that time of year when we try to show Daddy just what he means to us. Picking a gift can be tricky as we know how hard Daddy works for us day in and day out. We want to give him something that truly shows how much we appreciate him. 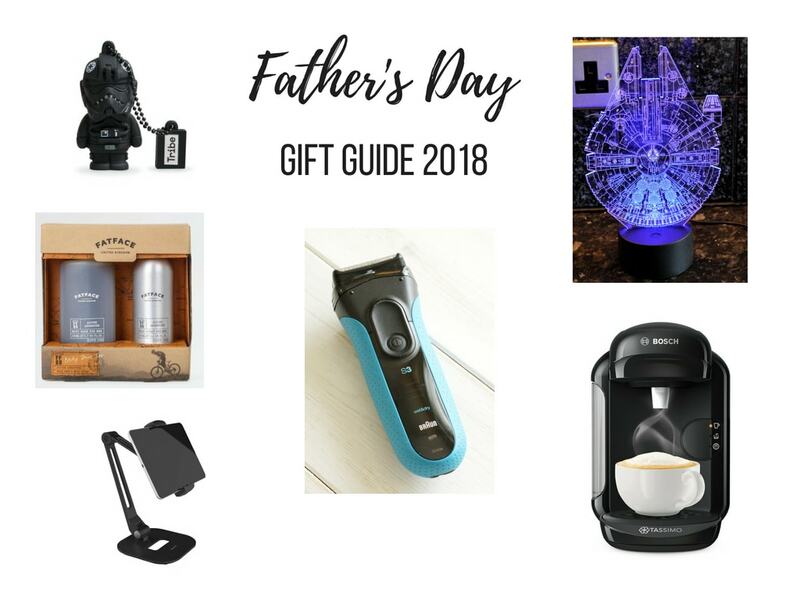 Therefore, we have teamed up with Braun to bring you this Father’s Day Gift Guide. The items included are a mixture of gifts we have given, both for Father’s Day and other special occasions. 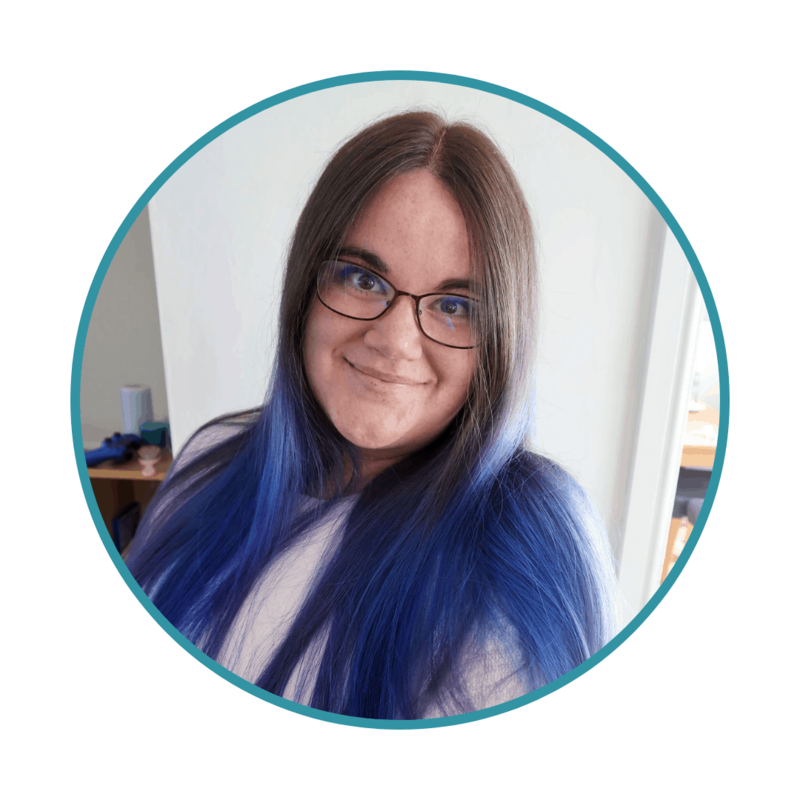 They are all items that have become firm favourites and that are genuinely used every day, making Daddy’s life a little brighter and a little easier – just like he does for us. The Braun ProSkin 3 is a new 3-in-1 solution for those who want to choose between a clean shave and a precise beard style with one device. 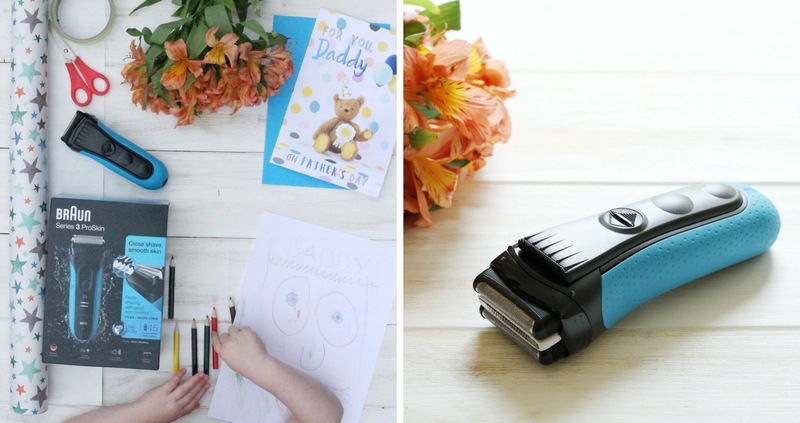 The shaving head attachment works in straight, easy strokes so there’s no need to circle over the same spot twice, helping to minimise skin irritation. This means the man in your life does not have to choose between a device that gives a really close shave and one that enables more precise styling for longer beards. He can just switch the shaving head for the trimmer head, plus one of the 5 combs, and get a precise trim between 1 and 7mm. Braun sent us a new ProSkin 3 to try for this guide. 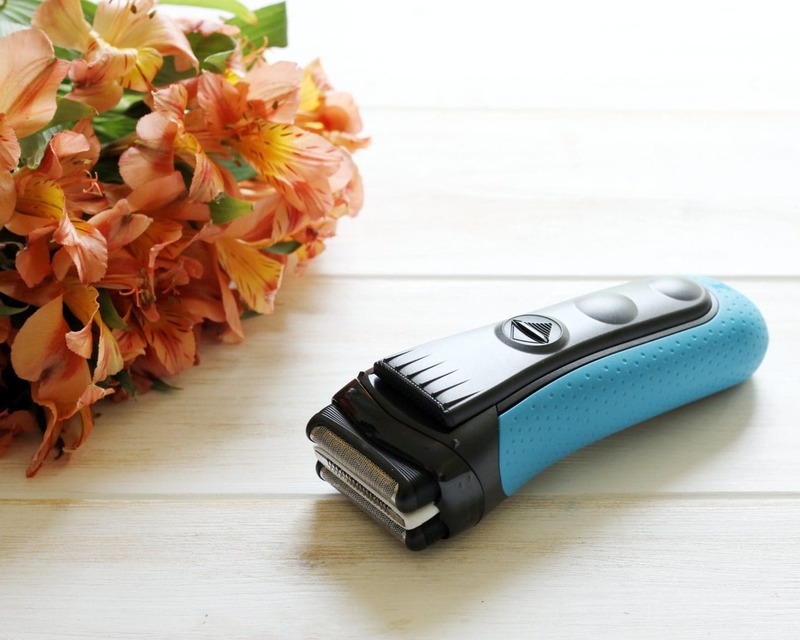 However, Matt has actually been using this type of Braun shaver for some time and genuinely finds that it is the best at reducing irritation when he shaves – something he has struggled with in the past. The device is also really stylish and saves on clutter as it performs the functions of both a close shave and beard styling device. First things first – do not confuse this little figure with Darth Vader. It is a Tie fighter Pilot which obviously every self-respecting Star Wars fan will know. This is one of a range of Star Wars USBs, so you can find whichever character your significant other loves. The pen drive is practical and sturdy as they key ring design and cap make it so portable. This little gadget will make transporting documents between home and school and little easier – and it is super cool. 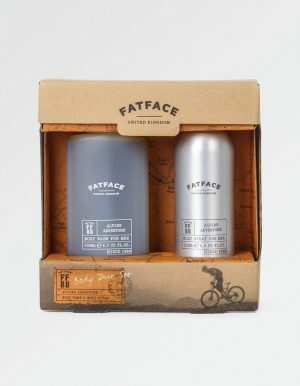 Matt usually sticks to very basic wash and body spray but recently received this FatFace Alpine Body Wash set as a gift and it smells absolutely divine. It has become a firm favourite and we will definitely be purchasing for him again. The scent is spicy but subtle and I really love it too. 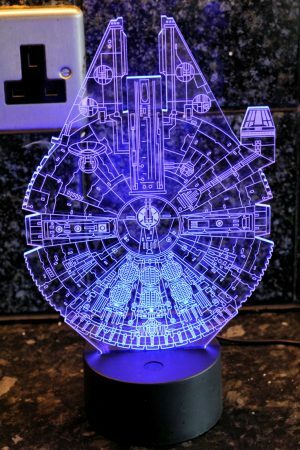 There is nothing cooler than the millennium Falcon and this lamp makes for a really stylish gift, whether used at home or for a great office desk accessory. I know Matt will likely take his to have pride of place on his classroom desk, right next to the children’s pictures, as it is one of the gifts he will be receiving this Father’s Day. The lamp can also scroll through seven colours, meaning it can suit any colour scheme or mood. Again, this is a product that we have owned and loved for some time. Coffee is, after all, a parent’s best friend. Matt drinks more coffee than I do and he uses the Tassimo several times a day. 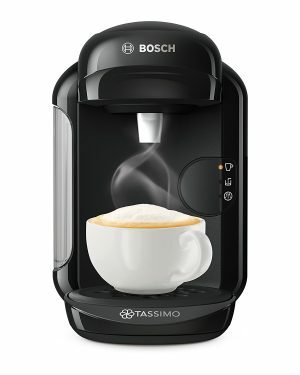 It is really quick and convenient but makes really great coffee – just what every busy parent and teacher needs! It also makes all kinds of other hot drinks so it is actually a great addition to any kitchen. In our household, Daddy does the vast majority of the cooking (though Mummy makes a mean cake) and, as such, he uses a tablet or phone a lot in the kitchen. Whether he is using other people’s recipes or jotting down his own, it is an electronic device that he uses to do so these days. That means a really good phone or tablet stand was a really great gift for him. It keeps the devices out of the way of most of the worst mess and can be angled precisely and moved easily, making cooking while reading instructions really easy. And there you have it – those are our top gifts for busy dads this year. They are all the exact items we own, or as close as we could find if we have owned the product for some time. We hope you find something to make life easier for the Daddy who is working hard to keep you safe and happy this Father’s Day. Great ideas Danielle. I always struggle for my dad but he would love several of the products here. Need to check with my mum first to see what he has! Some great ideas here, it’s nice to get a little inspiration as I really struggle with knowing what to get! Thanks. Really like the look of the Braun electric shaver – useful to be able to change the lengths of the razor isn’t it? Father’s Day has snuck up on me a bit this year, I need to pull my finger out! 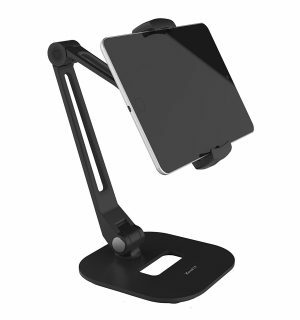 The tablet holder looks brilliant! It would be so good when I’m ironing and watching Netflix 🙂 The children’s dad is also getting the Braun razor. You can never go wrong with a good razor. I love that USB stick too!